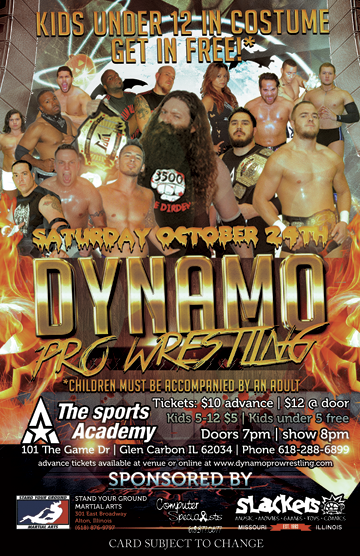 Dynamo Pro Wrestling returns to the Sports Academy in Glen Carbon, Ill. this Saturday, October 24. The main event will be a Street Fight for the Dynamo Pro Tag Title. New champions High Level Enterprise defend against The Black Hand Warriors.